Please excuse the windblown hair. Also, I think I like this maxi dress from the front a lot better than I do from the side. WHY ON EARTH DID WE PAINT OUR DINING ROOM THAT RIDICULOUS SHADE OF YELLOW?!?! I'm a blonde. Born and raised. And blonde I will be next Thursday! My arms were skinnier with G. hmph. My stomach has rounded out a lot sooner with Griffin than it did with Grayson. I had only gained 3 pounds (!!!!!!!!) by this point with Grayson. I have gained at least 11 pounds this time. So there's that...yay. Okay, on to the survey! *Total weight gain? : Last I heard it was 11lbs. I don't own a scale & that's probably a good thing. *How big is baby? : an ear of corn; Griffin weighed 1.7lbs this week at our ultrasound! *Sleep: My hips hurt at night so I know I toss and turn. BUT, when I am asleep, I sleep great! *Symptoms: ya know, normal aches and pains. 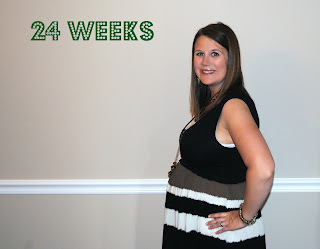 I feel a lot more pregnant than 24 weeks. 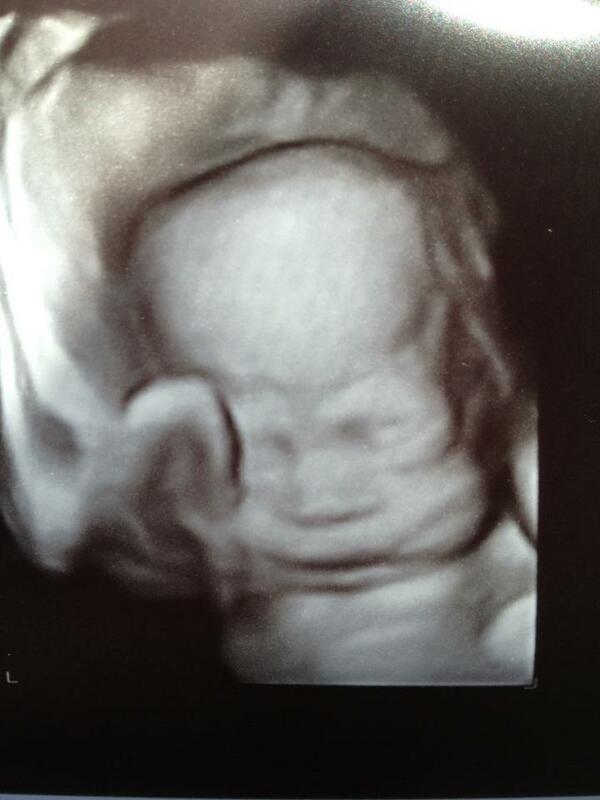 *Best moment this week: getting to see little Griff at my ultrasound! He went from being a sloth baby last time to being extremely active this week. He is a mover just like his big brother! *Movement: He moves a lot at night. I love feeling him! *Food cravings: nothing new this week. shocking. *Belly button in or out: in, however, it's already flat. It's pretty uncomfortable. I dread the sticking out belly button. *What I miss: not too much! *What I'm looking forward to: G's new room is slowly getting cleared out & we are ready to paint! I was seriously SO amazed at how much Griffin looks like Grayson as a newborn. They have the same exact fat cheeks, full lips, and nose. Pretty amazing! 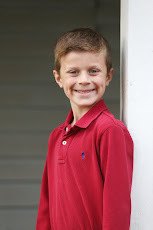 I wonder if Griffin will be a mammoth baby like his brother?! 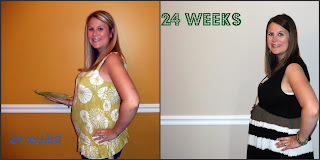 You look great and I love the comparison of both pregnancies! So exciting that you can already sort of see what he looks like! Is that a 3D ultrasound? I want one!! Love your dress-- where did you get it!? Awe not much longer mama! You look great, LOVE that maxi! And yay for BLONDE! I'm like you, it was fun to be dark but I'm meant to be blonde!